Sending flowers for Mother’s Day can be a wonderful gift idea. 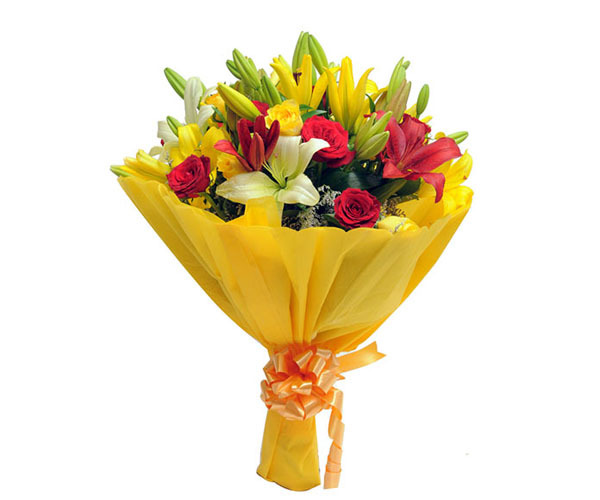 The bunch of colourful and vibrant blooms conveys immense respect and love that you have for this special lady. Floral gifts can delight anyone instantly with their charm and lovely hues. Your mom is sure to get elated on receiving such a special gift from you. With so many Mother’s Day gifts flooded at the online portals these days, floral arrangements still retain their popularity over any other gifting solutions. Here are some of the most amazing floral arrangements that can help you in selecting gorgeous gifts for your mother. These are the most classy and delicately fragranced blooms that you can choose as Mother’s day gifts for your darling mom. The frilled and fluffy petals of the carnations make them look gorgeous and irresistible. They have simple and long leaves which enhance the beauty of the flowers even more. The bouquets of carnations get beautifully arranged by the florists and they look amazing when combined with large blooms. White carnations decorated with lovely greens are the most popular gift choices for Mother’s Day celebrations. They symbolise fascination, love and distinction. The pink and violet carnations licked with bright yellow lilies also make an awesome combination of great blooms for your dear mom. These spring-blooming flowers are perfectly appropriate for Mother’s Day celebrations. They express affection and warmth that every child has for his or her mother. These flowers are highly colourful look amazing when decorated in beautiful vases in the living room. They brighten up the surrounding of the space immediately and spread positive vibes all over. The pink, yellow, orange, violet, and other rainbow-coloured tulips look immensely fascinating when combined together. These tube-like flowers also go perfectly well with other flowers and delicate greens. Roses are always celebration flowers which symbolise luxury, elegance and beauty. These are sweetly fragranced blooms which deeply touch the soul of the receiver. The different colours of the rose flower depict different emotions like friendship, happiness, affection, etc. You can choose to gift any colour of roses for your mom as there is no such feeling that you do not share with her. A bouquet of rainbow roses, long-stemmed pink roses, and the graceful grandeur of red roses are some of the most popular gifting options for Mother’s Day. These floral blooms are also gorgeous and impeccable bouquet options for your mom. The adoring colours of the gorgeous lilies can instantly impress any lady receiving them. They usually come in dual colours but also available in single vibrant colours. You can choose any combination depending on your taste and preferences. These endearing blooms get neatly arranged in packing papers which enhance their beauty even more. Oriental lilies can also get combined with roses, tulips, carnations, orchids and gerberas to design colourful and vibrant floral arrangements. So, now that you know the top flowers for Mother’s Day celebrations, you’re shopping and preparations for the day must start without any further delay. Giftalove.com has a myriad variety of Mother’s day special flowers and other gift items for the shoppers. Their gifting solutions match the taste of every mom perfectly and the quality offered by the portal is simply incredible. Their delivery network is highly active and enables sending gifts to almost any part of the world.